These breathable, disposable dental face masks provide protection for dentists, doctors and other healthcare providers as well as to people needing protection from flu, colds, pollen, dust and other airborne contaminants. 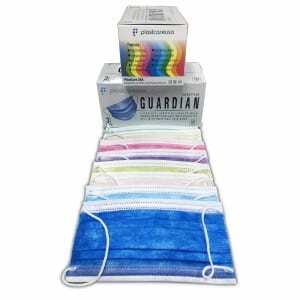 Securely covering the nose and mouth, these dental masks protect dentists and healthcare workers from splashes of fluids, bacteria, and bits of particles or other airborne contaminants during procedures. 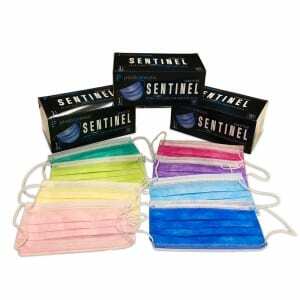 They also provide protection for patients from exposure to infectious agents that may be carried in a healthcare providers mouth or nose. Used by dentists all throughout Los Angeles and other major cities, our 100% latex and fiberglass free surgical masks have a soft comfortable inner lining for complete facial comfort and feature an omega pleat which allows for easy breathing. 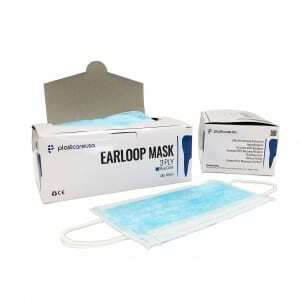 Soft, rounded earloops and form fitting, pliable nose and chin bands give these dental masks a secure, yet comfortable, fit. We carry entry level masks, as well as masks that meet ASTM face mask Leve 1, Level 2, and Level 3 standards, providing resistance to fluids and bacterial and sub-micron particle filtration efficiency. Copyright 2018 PlastCare USA. All Rights Reserved.